When the team's young star goes down an entire fan base holds their breath. 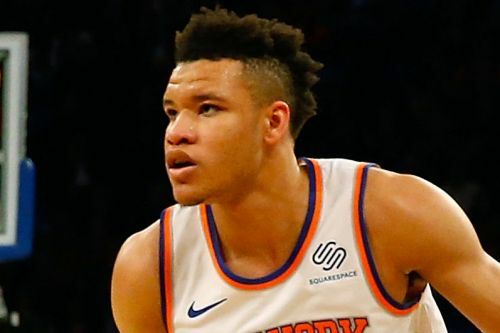 NEW YORK - Knicks rookie Kevin Knox left New York's game against Boston on Saturday night after spraining his left ankle in the first quarter. Because Knox wasn't able to shoot the free throws, he was, by rule, forced to miss the remainder of the game. The Knicks said X-rays on his ankle were negative.